Tired of Survey taking websites ? Can’t solve them out ? Here is the way to get out of it ! 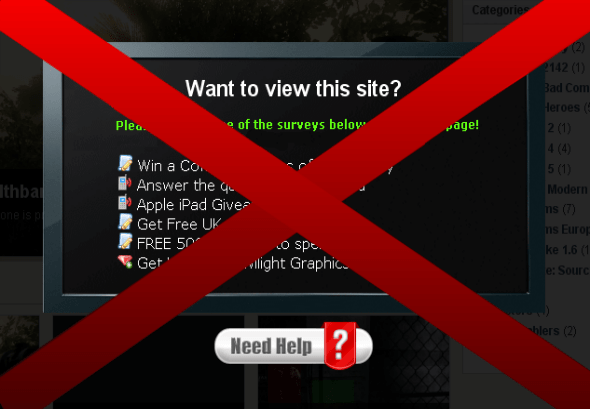 We many a times come across sites in which we need to go for a survey because we have to download a file or see some content. There is a user script which works in Mozilla which helps generate fake info for these sites and have our downloads. NOTE THE THINGS WORK FOR MOZILLA: I AM NOT RESPONSIBLE FOR ANY OF YOUR ACTIONS. THIS ARTICLE IS JUST FOR INFORMATION. 3>>> Go to the site which asks you for survey. Go to this site and you’ll get a temporary email id for around 15-30min.>paste that temporary email id at the place of email id which your intelligent form filler has randomly filled>click on submit form. And use the temp email-id for that purpose. Go to this site http://www.k7.net/ .. you can receive voice calls via mail ! So , In this way, you can easily bypass Survey again without giving any details !